Hello! I’m Dr. Jeff Bynum, DDS, of Five Star Dental Care in Valrico. I have been practicing general and cosmetic dentistry since 1996. Dentistry is a challenging and fascinating profession; dentists must have diagnostic skills, dexterity, extensive scientific knowledge, and good visual memory. Dentistry also requires artistic ability. In addition to the technical aspects of dentistry, I really enjoy interacting with my Valrico dental patients. I recognize that my clients have other choices in Valrico area dental practices, and I work continually to earn their trust and surpass their expectations. Each Brandon FL dentistry client is unique. Many of my patients come in twice-yearly for an exam and cleaning. We help them maintain excellent oral health. Some Riverview FL cosmetic dentistry clients come to me seeking major restorative dental work. It is extremely gratifying to complete a smile makeover and see the client’s reaction when they see the result for the first time. 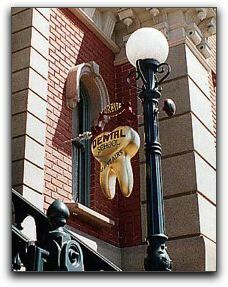 When I have a pre-treatment consultation with a new Valrico dentistry client, it is very informative for both of us. The patient learns the specifics about the possible procedures and I learn about the clients’ goals, concerns and expectations. Then I work with the client to develop a dental treatment plan that fits the patient’s needs, desired outcome and budget. My dental practice is located at 3203 Lithia Pinecrest Rd in Valrico. If you are looking for an experienced dentist in the Valrico area, call 813-653-2273 to schedule a consultation. This entry was posted on Friday, December 6th, 2013 at 4:18 pm	and is filed under Cosmetic Dentistry, General Dentistry, Restorative Dentistry, Sedation Dentistry. You can follow any responses to this entry through the RSS 2.0 feed. Both comments and pings are currently closed.